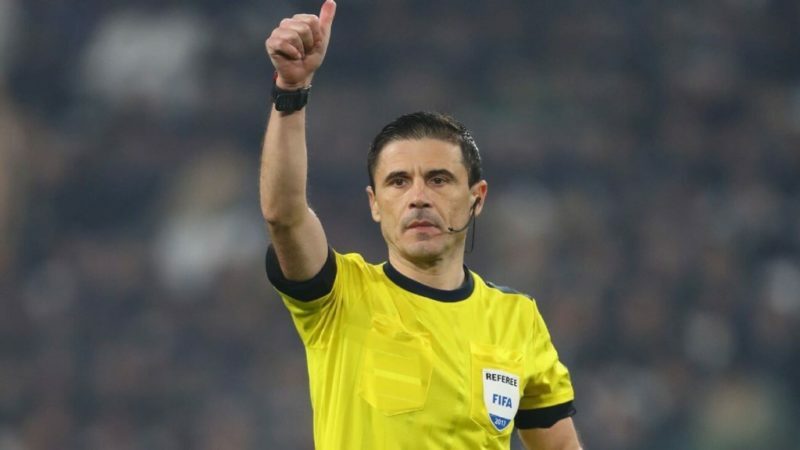 Serbia’s Milorad Mazic will referee the Champions League final between Real Madrid and Liverpool on May 26 at Kiev’s Olympic Stadium, UEFA on Monday says. The 45-year-old Mazic, an international referee since 2009, had taken charge of four Champions League matches and two Europa League games this season. Mazic would be assisted by compatriots Milovan Ristic and Dalibor Djurdjevic with Frenchman Clement Turpin named as the fourth official. Dutchman Bjorn Kuipers will referee the Europa League final between Olympique de Marseille and Atletico Madrid, which would be played on May 16 in Lyon, France. It will be Kuiper’s’ second Europa League final having refereed the 2013 clash between Chelsea and Benfica.